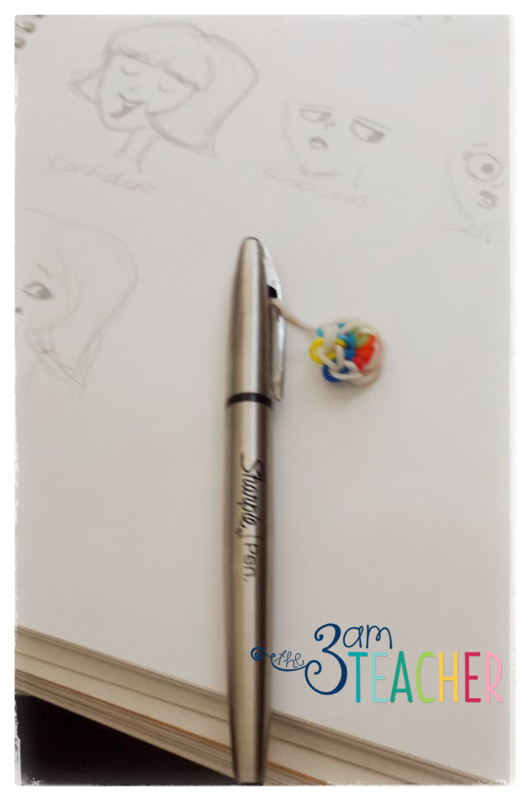 The 3am Teacher: My Newest Favorite Pen!!! At only $4.70 from Shoplet.com, I found my new favorite pen! AND... it's a Sharpie!! As most of you know, I will review products every now and again; however, I will only post about the things I truly like and I am not paid to do so. I do get to try out new things for free... and sometimes... they are AWESOME!! I recently got a chance to try out the new Premium Pen by Sharpie, and I am in love with this pen!! I am going to need to buy this pen in bulk, which by the way, you can do when purchasing office supplies at Shoplet.com!! I also got to try the neon Sharpie set, which I have had in my Amazon wishlist for quite some time! I was not as impressed with the neon pens. Although the colors seem fun, they do not show up well on paper and the yellow is completely useless.. The tip is far too thin and hard to use as a highlighter, but it might be great for circling words or underlining text. The price is a little steep for a marker set of four and they are really not practical for daily use. I am glad that I can now remove those from my Amazon wish list.. HA!! The Metallic Permanent Markers by Sharpie were quite fun to use!! For a little over $4 bucks, you get two metallic, fine-point markers and they are actually very nice. Many of the metallic markers I have used will bleed too quickly, causing the lines to be very thick, but these are great! I used them on a few file folders and I loved how nicely they wrote and the colors look good on just about any colored folder...even yellow!! 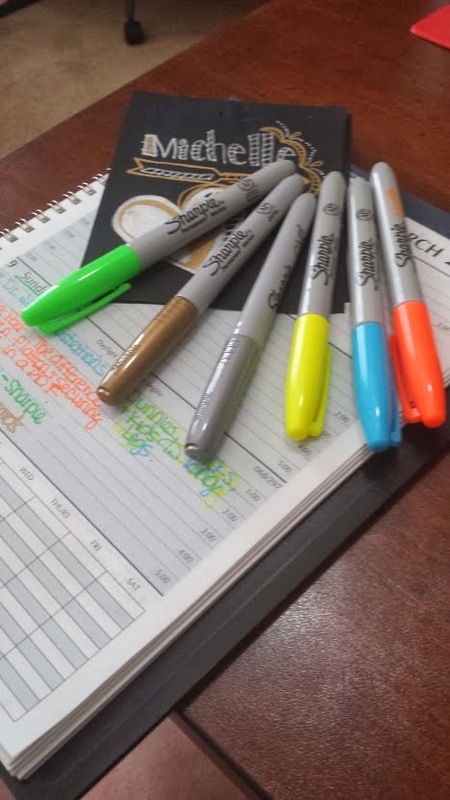 Overall, I think that Sharpie should come out with more of the Premium Pens in various colors because they are GREAT for marking and writing with!! Now beyond the review....I have been looking for some dry erase markers to use on my glass wipe board. Because the board is transparent, I am having a difficult time finding dry erase markers in various colors that show up dark enough. Below is a picture of my board so you can see what I mean. And YES, I cleaned it off, just so I could snap a photo.. hahaha. Have a great Tuesday everyone!!! You can now purchase clipart directly from my WEBSITE!!! I see that you have two calendars next to your dry erase board. I'm curious to know how you use each of these differently. 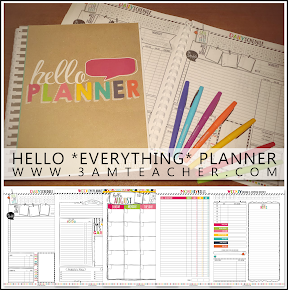 The one to the right is a "desktop" calendar that I hung up and I use solely to schedule Custom Blog Designs. It helps me see what I have for the month in one place. The other calendar is one I purchased because it had cute illustrations and quotes... I actually don't use it for anything, but a quick reference. 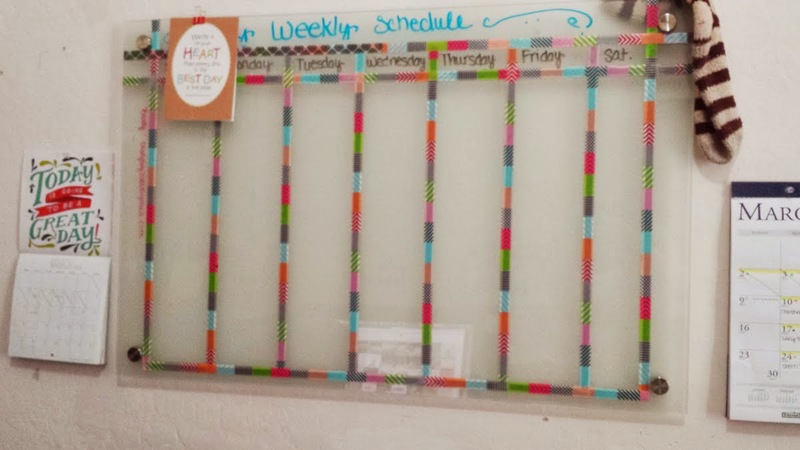 I use a scheduling calendar on my desk to track my daily list and keep up with social media. I will say that I have not been doing well keeping up with blog posts.